Cape Perpetua Oregon, U.S.A.; lower intertidal. 13 Jun 2003. Michael Guiry. © Michael Guiry (mike.guiry@nuigalway.ie). Published in: Dawson, E.Y. (1964). 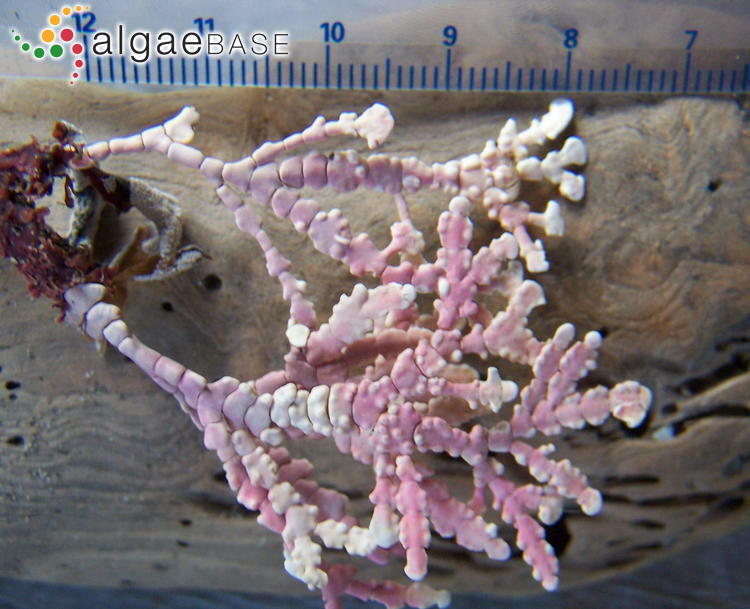 A review of Yendo's jointed coralline algae of Port Renfrew, Vancouver Island. Nova Hedwigia 7: 537-543. The type species (holotype) of the genus Calliarthron is Calliarthron cheilosporioides Manza. 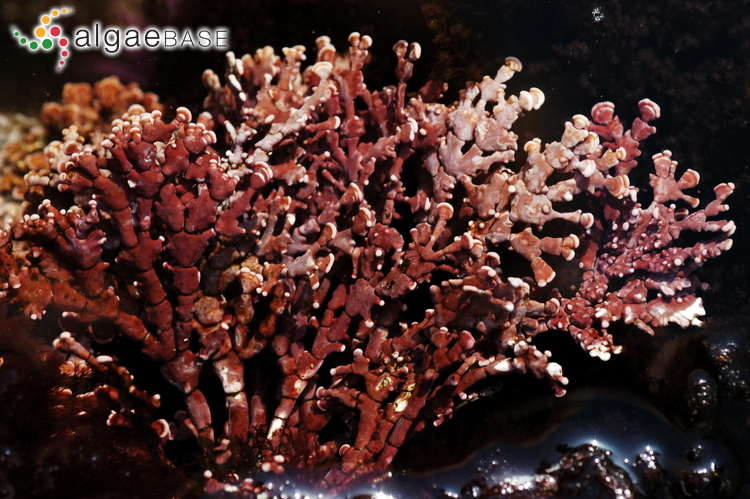 Type locality: USA: Alaska: Sitka ("Sitcha") (Silva 1996-to date). Lectotype: (Berger et al. 2003 Notes: Lectotype fide Johansen 1969. Hollenberg, G.J. & Abbott, I.A. (1966). 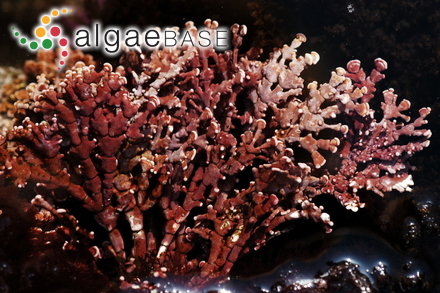 Supplement to Smith's marine algae of the Monterey Peninsula. pp. [i]-ix [xii], -130, 53 figs. Stanford: Stanford University Press. Accesses: This record has been accessed by users 3910 times since it was created.